From Atomic Kitten to the Pussycat Dolls: What happened to the girl bands of our time? Cape Town - Long before Fifth Harmony and Little Mix, these leading ladies formed hit-making girl groups that all of us wanted to belong to. But as the years went by, we saw one girl band after the other break apart (much like some of our friendships, right?). And their breakup meant less ballads for us to belt out and fewer fabulous outfits that made us wish we were as hot as they were. From Atomic Kitten to the Pussycat Dolls – we all had our favourite girl group. We take a look at some of our most beloved divas who are no longer in the music business. Who can forget singing to The Tide is High and Whole Again at the top of our lungs? Liz McClarnon (36), Kerry Katona (37) and Natasha Hamilton (35) went their separate ways in 2004, after six successful years in the industry. To date, the English girl group have had three UK No 1 singles. Although it’s been 11 years since the group has ceased to be, Destiny’s Child remains one of the most successful girl groups of our time. Their singles Bills, Bills, Bills and Say My Name catapulted them to stardom back in 1999, when the group comprised Beyoncé Knowles-Carter (36), Kelly Rowland (36), LaTavia Roberson (35) and LeToya Luckett (36). LaTavia and LeToya left that same year, due to Beyoncé’s father, Matthew Knowles (65), allegedly favouring Beyoncé and Kelly. 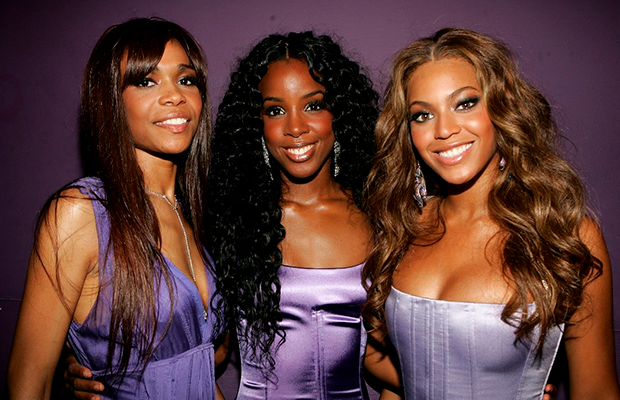 Michelle Williams (37) and Farrah Franklin (36) joined in 2000 but Farrah’s stay wasn’t long and the group remained Beyoncé, Kelly and Michelle until 2006, when each ventured off on their own. The group has sold more than sixty million records worldwide to date. Cheryl Tweedy (34), Nadine Coyle (32), Sarah Harding (35), Nicola Roberts (32) and Kimberley Walsh (35) went from being the winners of ITV’s Popstars: The Rivals in 2002, to chart-topping singers who had the girls envious and the men drooling. They have an impressive eight certified singles under their belt, of which four have reached No 1 in the UK. The girls weren’t only hit-makers, but record-breakers too. Guinness World Records listed the group as the Most Successful Reality TV Group in their 2007 edition. They eventually went their separate ways in 2013. FROM LEFT: Kimberley Walsh, Nadine Coyle, Cheryl Tweedy, Sarah Harding and Nicola Roberts. Siobhán Donaghy (33), Mutya Buena (32) and Keisha Buchanan (33) were the first members to form the group in 1998. Siobhán left in 2001 following rumours of a tiff between her and Keisha, and was replaced by Heidi Range (34). Together Keisha, Mutya and Heidi, racked up six number one UK singles, which included Freak Like Me, Hole in the Head and Push the Button. Despite their success, the group couldn’t manage to stay unified. In 2005, Mutya left and was replaced by Amelle Berrabah (33). Keisha also upped and left in 2009, leading to Jade Ewen (29) taking her place. The reformed Sugarbabes, which consisted of Heidi, Amelle and Jade, finally split in 2011. They’ve always been a bickering bunch – something that’s been affirmed by their recent drama. A former member claims the band was nothing more than a glorified prostitution ring where they were forced to sleep with men and take drugs. But Kaya Jones, the former Doll who made the shocking claims, is standing alone, because the other Pussycat Dolls members have flat-out denied her claims, saying they can’t support the allegations. Drama aside, Nicole Scherzinger (39), Carmit Bachar (43), Ashley Roberts (36), Jessica Sutta (35), Melody Thornton (33), Kaya Jones (33) and Kimberly Wyatt (35) enjoyed raving success during their seven years as a group. Their hits Don’t Cha, Buttons and When I Grow Up topped charts worldwide and the band sold 54 million records to date.